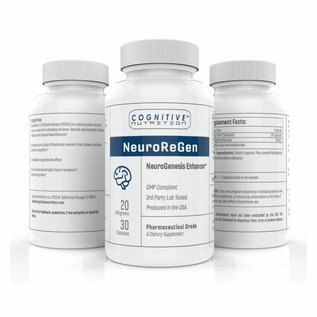 NeuroRegen (7,8-Dihydroxyflavone) is an exciting new Neurogenesis enhancer that's a naturally occurring flavone found in various plants, such as, Godmania aesculifolia, Tridax procumbens, and primula tree leaves (used in Indian medicine for centuries). As a dietary supplement, take 1 up to 5 capsules daily. Material is pharmaceutical grade at no less than 98% pure. Labs tested for quality. Negative on any unsafe levels of microorganisms, such as, bacteria, mold, or fungi, as well as, within safely limits of a panel of heavy metal tests. 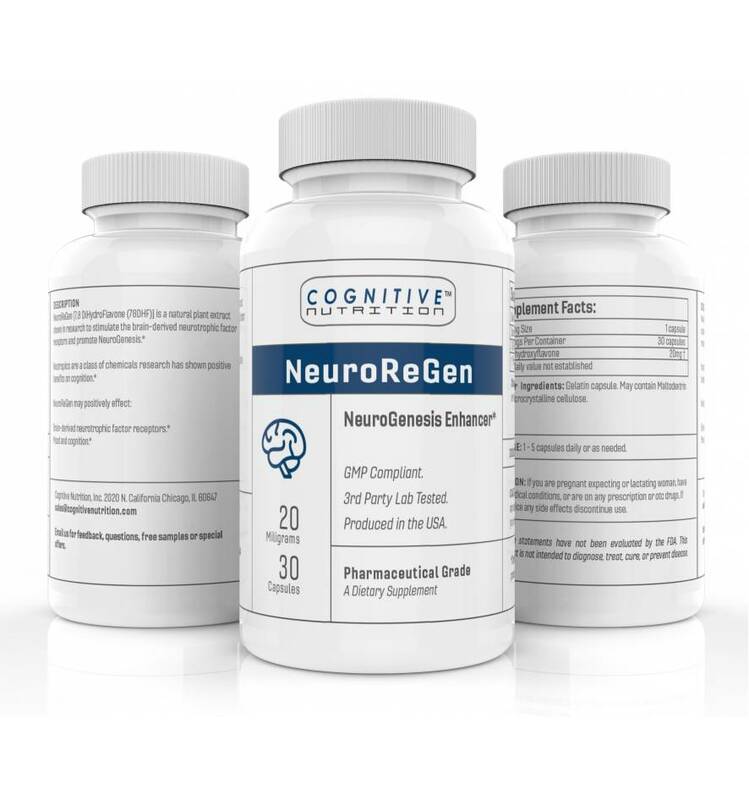 Produced in a cGMP registered plant following strict FDA guidelines under the DSHEA act for producing detailed and extensive work to meet these exacting quality standards.